I just finished my second Java workshop. 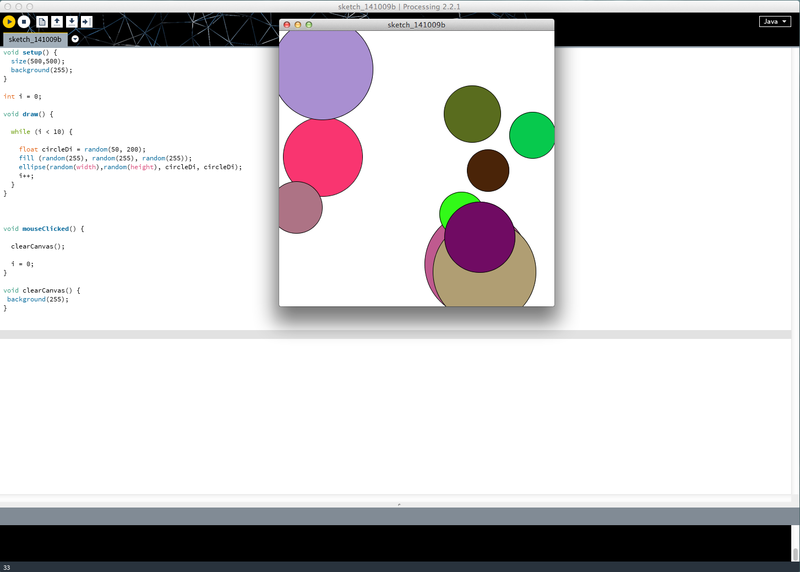 Today, I learned how to do loops and also, how to set variables. 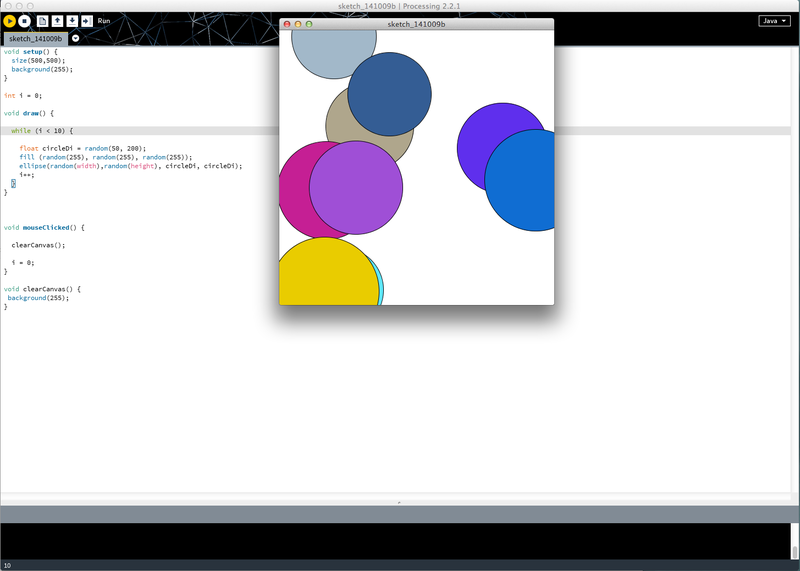 For practice, we were asked to create a program which generates 10 random circles in random different colours. It was more difficult then what we did before. This time we had to think of different steps and plan ahead but after a while, I was able to write the right code.